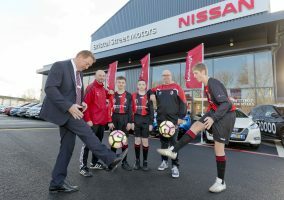 BRISTOL Street Motors Nissan Chesterfield is helping budding footballers to put their best foot forward after announcing their support of local junior football team Brampton Rovers FC. The Old Whittington dealership has provided the Brampton Rovers Under 16s team with full kit ahead of the new season. 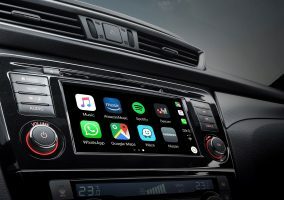 The support comes following the acquisition of the dealership, formerly known as Gordon Lamb Nissan, in June 2016 by Vertu Motors plc, which owns the Bristol Street Motors franchise. For the 17/18 season, the team have switched competitions from the Sheffield Hallamshire League to play in the top flight of the Derby City League. Brampton Rovers AFC has been active since 1966 and now has more 20 teams, including junior and senior teams playing in several different leagues. 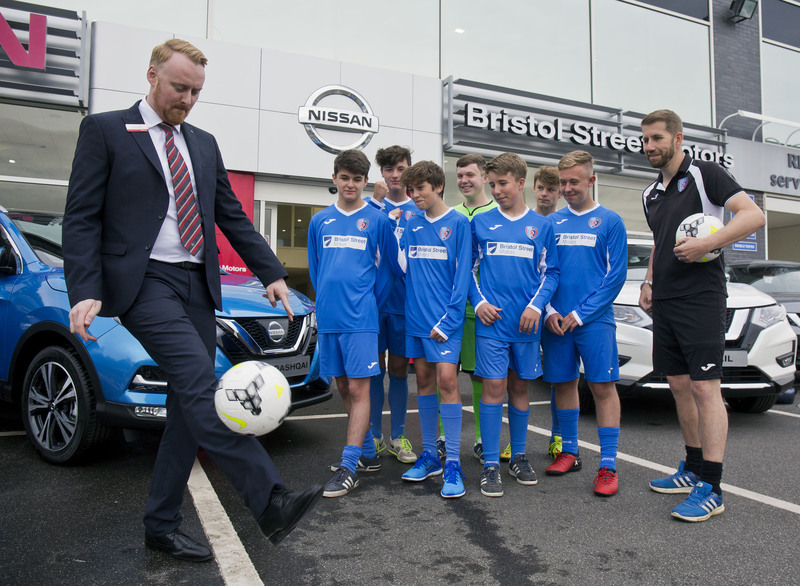 David Jenkins, General Manager at Bristol Street Motors Nissan Chesterfield, shows Brampton Rovers FC U16s his football skills.